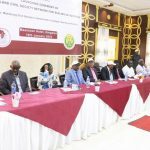 Hargeysa(Aftahannews):- All seats were occupied by the delegates whose been invited in this well organized Launching ceremony of the above title head, which new to Somaliland stage, this is a main project organized number of 12 Organizations in clouding international Agencies like Care international,PSI,World,,Save the Children,Mercy-USA, Wold vision and also local NGOs led by Anppcan which hosted this project launching. 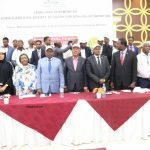 Vice President of Somaliland Abdurrahman Saylici, agriculture Minster, and 3 Ministerial deputies,Civil Society and other honorable gusts, including Yahya Balima head of UNICEF, and majority of the Media houses. 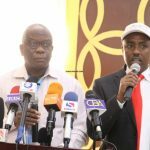 Director of the Anppcan and the chief of the Civil Society had briefed the aim of this main project and fully thanked those honorable delegates led by the Vice President,also Mr Khadar mentioned that there is too eager for this project activities. 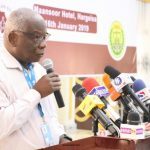 This is the Director of ANPPCAN speech: Keynote Speech by the executive director ot ANPPCAN M. Khadar Mohmoud Ahmed, current Chair of Somaliland Civil CSN for SUN,Civil Society, Goverment, the Uinted Nation and Donor Community jointed to gather in Hargeisa,Somaliland on the 16th January 2019 to launch the Civil Society Alliance to SUN in Somaliland. 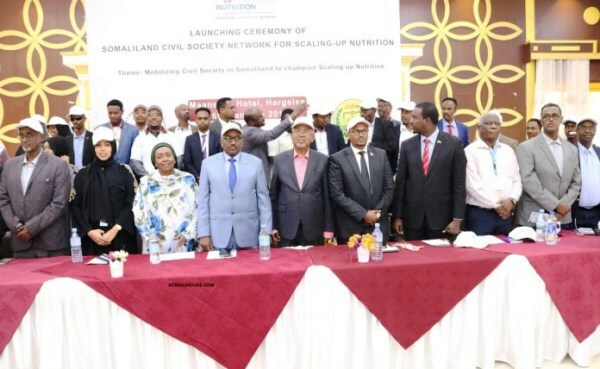 ANPPCAN , who is the current chair and the hosting organizations involved in the nutrition sensitive and nutrition specific programs in Somaliland in October 2018 leading to the establishment of Somaliland Civil Society Network for SUN. over 15 Civil Society organizations, pledged to join the movement to eradicate malnutrition in Somaliland. 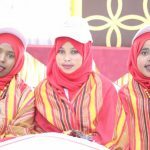 The Government of Somaliland is committed to Global SUN movement demonstrating their committed to deliver Sustainable solution in order to address nutrition in Somaliland, as in individual organization s serving Mothers and Children around Somaliland we have not been tackle the prevalence of stunting, wasting and anemia in Somaliland. 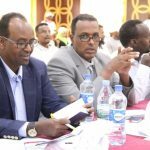 which is very high and alarming, therefore a collective effort across all society organizations ins needed if we are to achieve our goal if eradicating malnutrition in Somaliland. 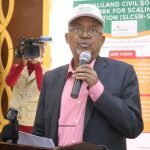 We need to consolidate and reinforce our actions to achieve the national and Global goals, the Civil society Network serves on opportunity to bring all civil society organizations, to gather, give them a voice and jointly contribute to achieving better nutrition outcomes and Children in Somaliland,we are calling for more civil Society organization to joint and be a ray of the Somaliland civil Society Network for SUN.thank you. 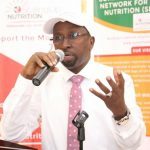 Dr Ahmed Muse head of the Nutrition, Somaliland Ministry of Health also pointed out the indispensability of this led ANPPCAN Nutrition Project and that Ministry of Health Development is fully endorsing to work with this beautiful initiative. Mss. 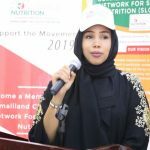 Amal Dama focal point of the Civil Society Network for SUN secretarial, have swiftly highlighted some important alters, and mentioned that this Somaliland civil Society Network of this Project, will be benefited by a lot of Somaliland Young children whose many of them are dealing with malnutrition for a long time. 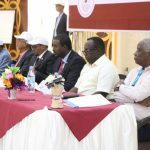 “today its my pleasure as the focal point and i would like to fully thank for our organized organization ANPPCAN and especially Director of ANPPCAN who, s had the major role of whole what been succeeded” told that Ms. Amal Dama, Finally i,am saying thank you all those all local organization and their colleagues of the International and UN Agencies. “as to success our activities of this project ANPPCAN currently is holding on as part of the 60 countries whose engaging the success of the SUN and now we want to up grade the ability of the young Children” she told. Head of the UNICEF as counter director Mr. Yahya Balima told that UNICEF will be more concerning about this Project supporting since his office is part of those Internationally involving more and he acknowledge the role that ANPPCAN played accelerating of this Project, Mr. Balima enlighten that UNICEF will more will be standing this project as to over come Somaliland child malnutrition which had hindered the stability of all Children lives. On the other hand the Vice President mention that ANPPCAN is deserved to be fully thanked for their commitment and leadership of this, and he encouraged all Somaliland society to support this SUN project which widely is ambition of the caring of Somaliland Children as more culminating in the coming years, but more is dependent on how accountability and transparent all activities of this SUN project is done by its engaging organizations and figures. The Band of Hiddo Academy was exposed well admired local dance and melodious music which reiterated once again more as the participators were seeing laughing and clubbing for those teenagers of the Hiddo young dancers.